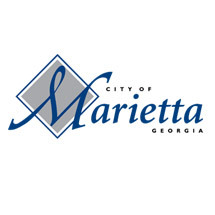 Marietta Smart City Traffic Management - Applied Information, Inc.
Marietta is located in central Cobb County in Georgia. There are approximately 56,000 people living in Marietta and is the fourth largest city in the Atlanta metropolitan area. The city has multiple traffic systems from various suppliers and required one system that could easily monitor all of their systems holistically. Marietta wanted to be able to monitor the performance of their traffic devices to ensure the highest available uptime and create a smart city traffic management platform. Marietta also wanted to be able to monitor and control the safety devices such as school flashing beacons to ensure the flashing beacons were operating correctly and vehicles were slowing down in school zones. Applied Information, in collaboration with Temple Traffic, developed a Smart City Traffic Management platform that would be able to monitor and control all the city’s traffic solutions. This solution is based on a Field Communications Monitoring Unit (FCMU) and cloud based Glance management software. This system would provide the city with feedback on how each traffic device was performing and provide performance reports to management. If any faults were detected an alert would be sent to the correct personnel to rectify the problems. The FCMU unit was installed with a battery backup that could operate for 8 hours with no power. This insured if there was a power failure the system could report the correct operation of the traffic devices. The FCMU came pre-installed with a GPS sensor and cellular modem so that the system can self-locate and communicate back to the Glance platform. Setup of the system was very simple as the device receives all configuration information from the Glance Server and requires no local configuration. This information provided the city with complete knowledge of what was happening with their traffic resources. The Glance software was used to monitor the reliability the traffic intersections. The Glance software can automatically send out faults via email and text messages to personnel. This informs management and maintenance technician instantly when there is an issue with a traffic intersection and what that problem is. 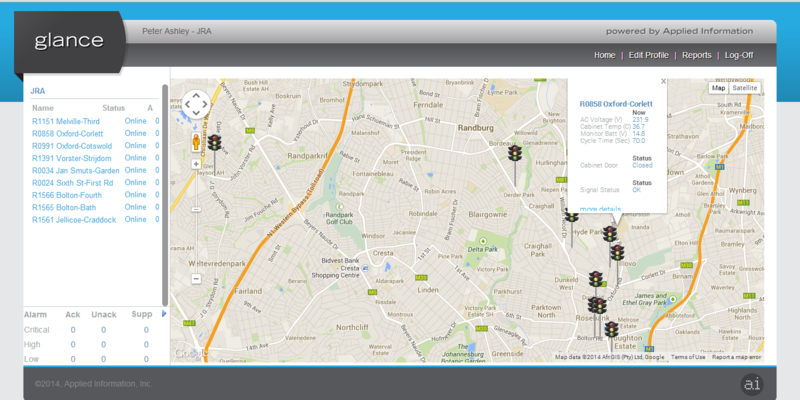 This systems makes managing your smart city traffic management platform easy.